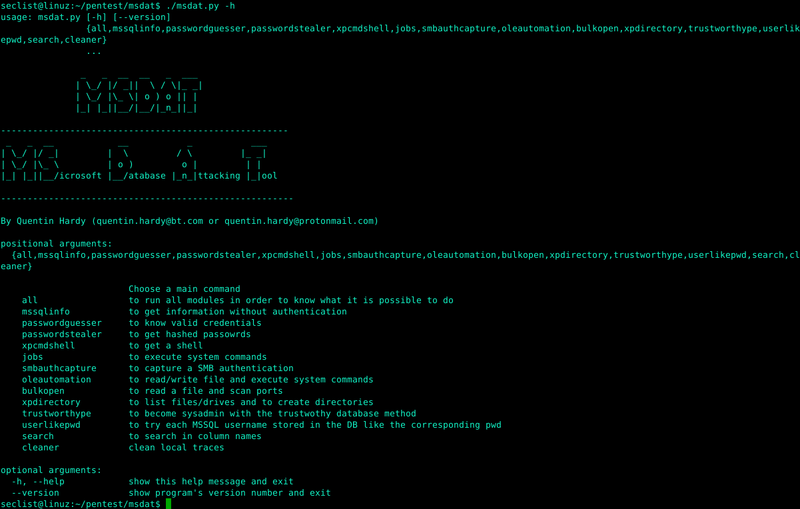 Browse: Home / MSDAT – Microsoft SQL(MsSQL) Database Attacking Tool. MSDAT (Microsoft SQL Database Attacking Tool) is an open source penetration testing tool that tests the security of Microsoft SQL Databases remotely. Tested on Microsof SQL database 2008 and 2012. 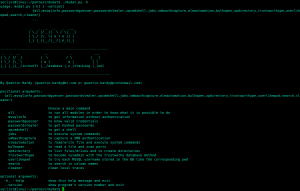 ← autocrack – Hashcat wrapper to help automate the cracking process.